The hard winter at Broken Arrow Crossing couldn't have come at a worse time for Stuart Brannon. Having left his Arizona ranch sick with grief after losing his family and cattle, Brannon is caught in the teeth of the blizzard. He stumbles half-frozen into an isolated stage station, where he finds a wounded prospector. While staying on and nursing the stranger back to health, Stuart welcomes other winter travelers in need of help. He is soon drawn into their desperate plights. 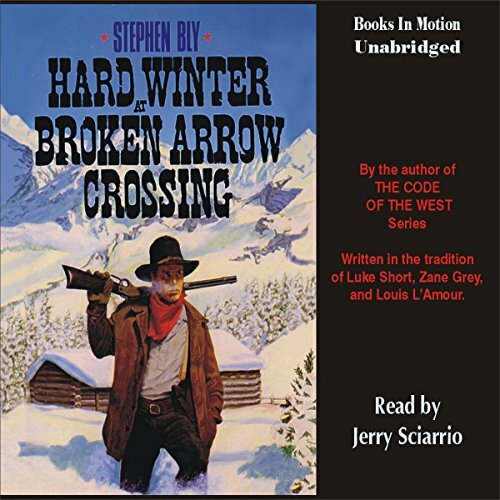 Then he must plunge into a dangerous mission to rescue a boy from nearby hostile Indians, only to become the target of an outlaw band. It's a hard winter that seems long in passing, with little hope of escape. The hard winter at Broken Arrow Crossing couldn't have come at a worse time for Stuart Brannon. Having left his Arizona ranch sick with grief after losing his family and cattle, Brannon is caught in the teeth of the blizzard. He stumbles half-frozen into an isolated stage station, where he finds a wounded prospector. 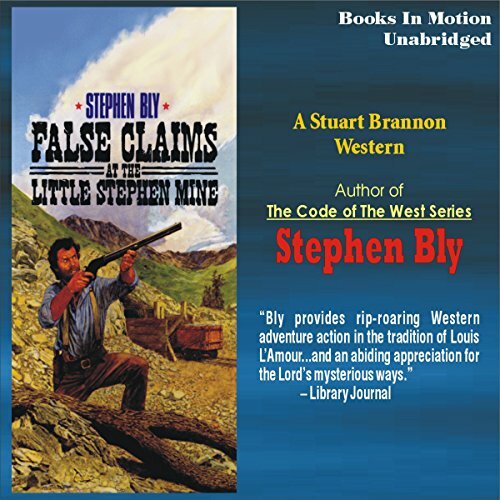 After months of digging, Stuart Brannon and Edwin Fletcher finally hit the mother load, only to find someone else is after their claim. Under attack, they ally themselves with three Ute Indians and fortify the mine. As the siege continues, Brannon rescues Fletcher from a band of kidnapping claim jumpers, and ends up with another companion in the bargain. 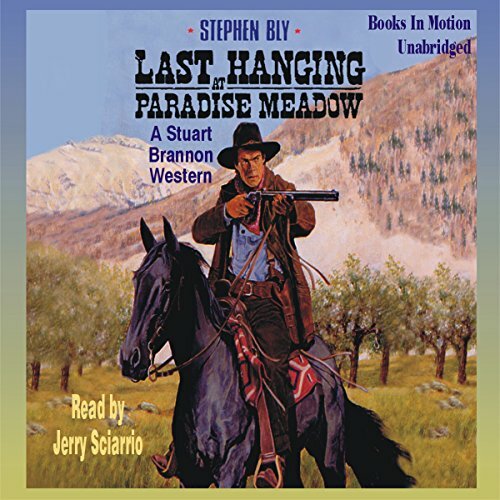 Stuart Brannon's friend, Peter Mulroney, has been wrongfully jailed by Dixon Rutherford, the corrupt Mayor of Paradise Meadow - Rutherford killed Mulroney's wife for standing up to him, and continues tyrannizing the entire town. Brannon comes to break his friend out, but finds himself drawn into the town's struggle by schoolteacher Rose Creek. 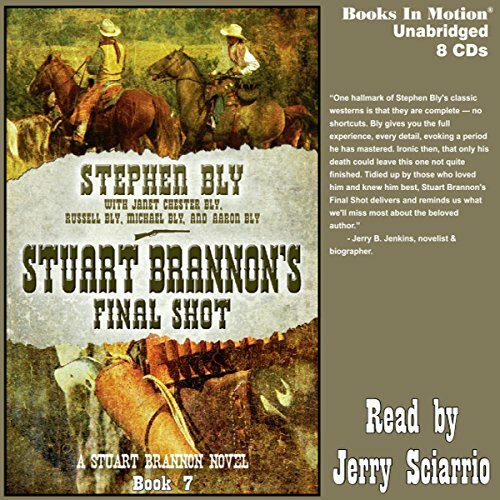 Stuart Brannon heads home to his Arizona Ranch, but he finds it occupied by interlopers from the Casa Verde Land Corporation claiming to hold a Spanish land grant on the property. Enraged, Brannon drives them off. 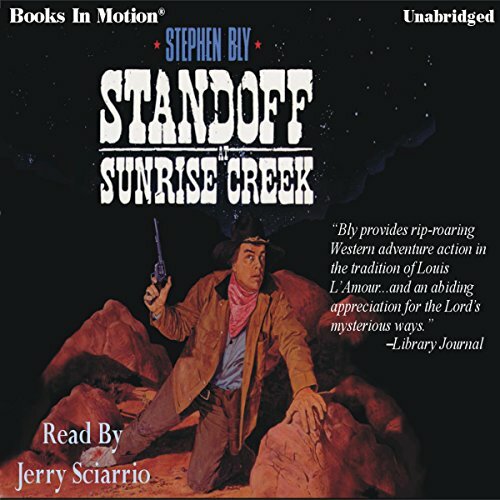 Stuart is soon joined by several friends and neighbors in defending his home, including a contingent of soldiers tracking down a band of Apaches, and Miss Harriet Reed who makes her attraction to the ex-lawman obvious. They are soon under siege by Casa Verde's 50 hired gunmen and a cannon sent to take back the property. Stuart Brannon heads south of the border to buy cattle for his ranch, but finds the cattle rustled and the owner murdered. 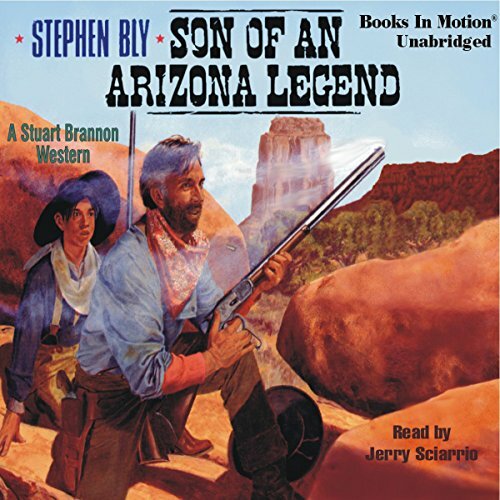 Stuart discovers a former Confederate Officer has stolen the herd to finance his own private army with the fantastic dream of "liberating" Baja, California for the Confederacy. Army or no army, Stuart Brannon isn't about to let anyone walk away with his cattle. Stuart Brannon's 40th birthday party turns into a real surprise with the arrival of an unexpected guest, a 12-year-old son he never knew he had! The boy also brings sad news that his mother, whom Brannon had befriended at Broken Arrow Crossing, is now dying in a Navajo camp. 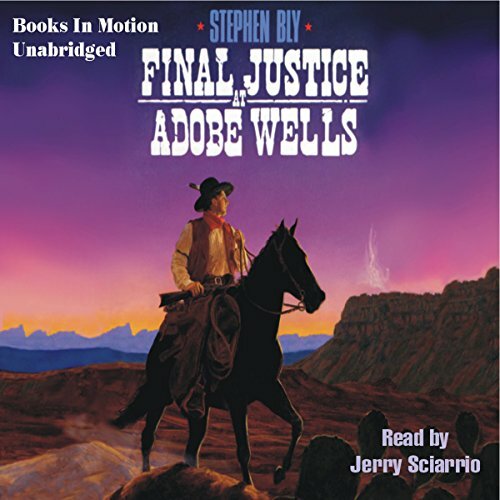 Brannon determines to bring her back to his ranch, but chooses to wait and see her with the boy before telling Littlefoot the truth of his outlaw parentage. In 1905, at 58 years old, legendary lawman Stuart Brannon - now a rancher and widower - had no intention of leaving his beloved Arizona Territory to attend the Lewis and Clark Centennial Exposition in Portland, Oregon, nor to participate in the celebrity golf tournament for the Willamette Orphan Farm. Even an emotional appeal from a longtime friend didn't persuade him. His life no longer consisted of bloodthirsty men to track down...people trying to kill him...lawless gangs preying on the innocent.